Featuring brand-new stories by: Kathleen Kent, Ben Fountain, James Hime, Harry Hunsicker, Matt Bondurant, Merritt Tierce, Daniel J. Hale, Emma Rathbone, Jonathan Woods, Oscar C. Pea, Clay Reynolds, Lauren Davis, Fran Hillyer, Catherine Cuellar, David Haynes, and J. Suzanne Frank. From the introduction by David Hale Smith: My favorite line in my favorite song about Dallas goes like this: Dallas is a rich man with a death wish in his eyes / A steel and concrete soul in a warm heart and love disguise... The narrator of Jimmie Dale Gilmore's perfect tune "Dallas" is coming to town as a broke dreamer with the bright lights of the big city on his mind. He's just seen the Dallas cityscape through the window of his seat on a DC-9 at night. Is he just beginning his quest? Or is he on his way home, flying out of Love Field, reminiscing after seeing the woman who stepped on him when he was down? In a country with so many interesting cities, Dallas is often overlooked except on November 22 every year. The heartbreaking anniversary keeps coming back around in a nightmare loop, for all of us. 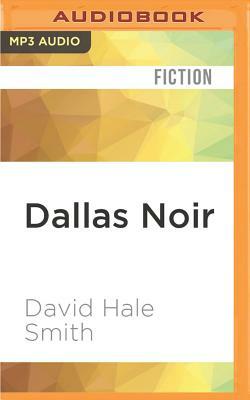 On that day in 1963, Dallas became American noir. A permanent black scar on its history that will never be erased, no matter how many happy business stories and hit television shows arise from here. In a stark ongoing counterweight to the JFK tragedy are those two iterations of the TV show. Dallas is not a TV show. It's a real city... For the past 40 years, my capacity to be surprised by it has not diminished one bit. I hope the stories in this collection will surprise you too.